The final matchweek of the Champions League group stage is upon us and several teams still have work to do to secure their last-16 places. Former champions Inter and Liverpool are both yet to qualify from their respective groups, while there are plenty of other big names facing the possibility of elimination as only four knockout berths remain. Harry Kane and Tottenham will hope to pip Inter in Group B, while Group C sees Liverpool, last year's finalists, jostle with Napoli and big-spending Paris Saint-Germain. Lyon and Shakhtar Donetsk are also in the hunt on Wednesday and here we outline what each side must do to get through this week. Unlike some of the other pools, this is a straightforward one. Atletico Madrid and Borussia Dortmund are through, while Club Brugge will drop into the Europa League, and Monaco are out. Atleti will top the group with a win at Brugge, or if Dortmund do not triumph against Monaco. Barcelona are through as group winners. PSV are out. However, Tottenham and Inter remain neck and neck. Spurs lead the Italian side on head-to-head away goals and so must simply match their rivals' result, yet they travel to Barca as Inter host PSV. With a huge Champions League trip to Camp Nou looming on the horizon, Mauricio Pochettino rested Harry Kane for Spurs' win at Leicester City. One of the more complex groups sees Napoli, PSG and Liverpool vying for two places. 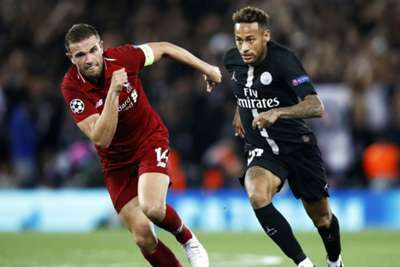 Both Napoli and PSG can assure their own progression - the Italians with a draw and Thomas Tuchel's men with a win - but failure to pick up the required results will mean reliance on results elsewhere. Napoli can lose to Liverpool and go through as long as PSG are also beaten by Red Star Belgrade. PSG are through if Liverpool do not win at Anfield. Liverpool also still have their fate in their own hands, though. They must win but a 1-0 win or two-goal margin of victory sends them through regardless of PSG's result. The Reds could still finish bottom if they lose and Red Star win. This pool is fairly cut and dry. Porto are group winners, Schalke are second. Galatasaray will beat Lokomotiv Moscow to third if they win against Porto or if the Russian outfit fail to get three points. Another simple one becomes clearer still for the fact that Ajax and Bayern Munich, both already through, play each other. Only a home win in Amsterdam sees Ajax top the group. Benfica are into the Europa League, while AEK are out. Manchester City are through and Hoffenheim cannot progress, although they will drop into the Europa League if they win in Manchester and Shakhtar lose to Lyon. Perhaps more realistically, only a Shakhtar win can prevent Lyon's progress, while the French club can still finish top of the pile if they win and City are beaten. The next game is the crucial @ChampionsLeague showdown vs Lyon. We need only victory! Reigning champions Real Madrid are through as group winners, with 2017-18 semi-finalists Roma in second. CSKA Moscow - away in Spain - must better Viktoria Plzen's result to reach the Europa League. Juventus are through and will top the group with a win at Young Boys. Manchester United must triumph and hope the Bianconeri drop points to earn the top seed. Valencia are in third. Young Boys are out.